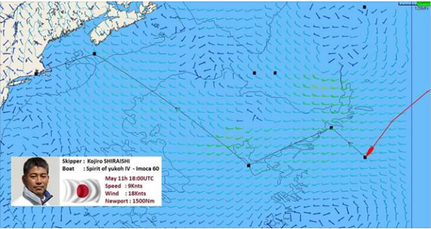 Tracker: New York-Vendee from May 29 to June 10. 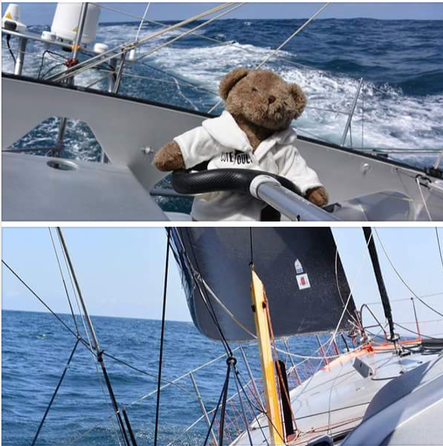 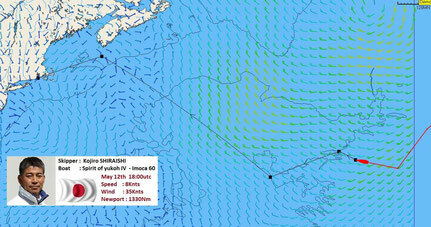 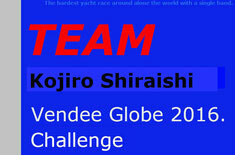 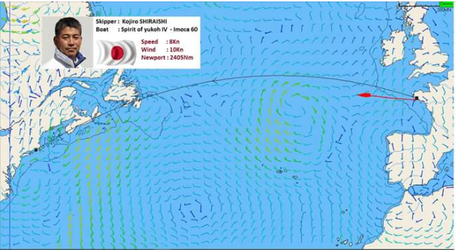 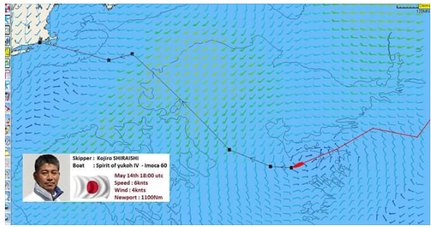 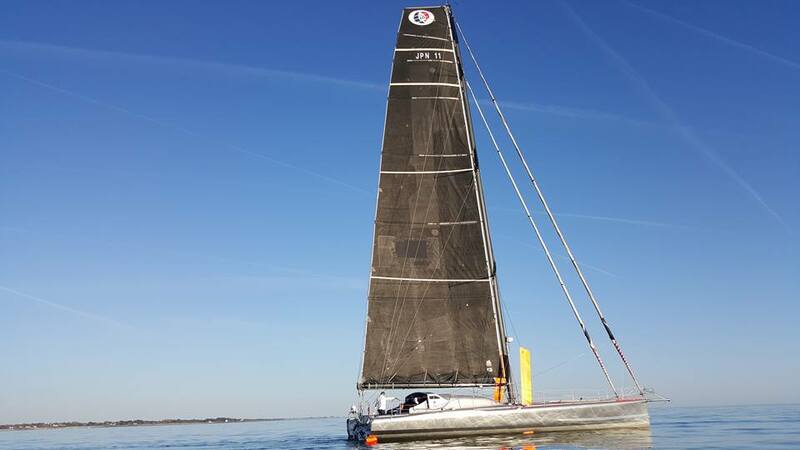 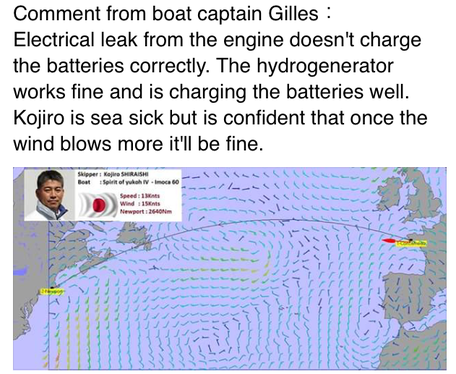 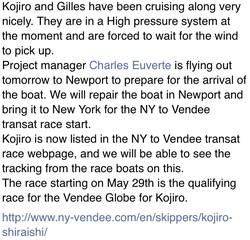 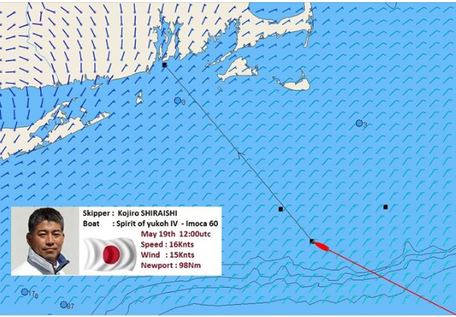 Kojiro's Race Tracking: New York- Vendee(Les Sables d'Olonne) from May 29.
" 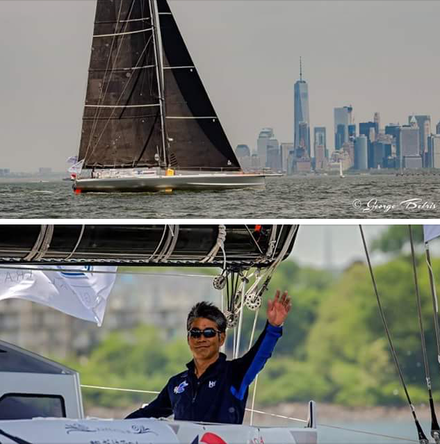 The New York Vendee (Les Sables d' Olonne)" a prerequisite race for the Vendee Globe 2016 in this autumn has started from New York USA. 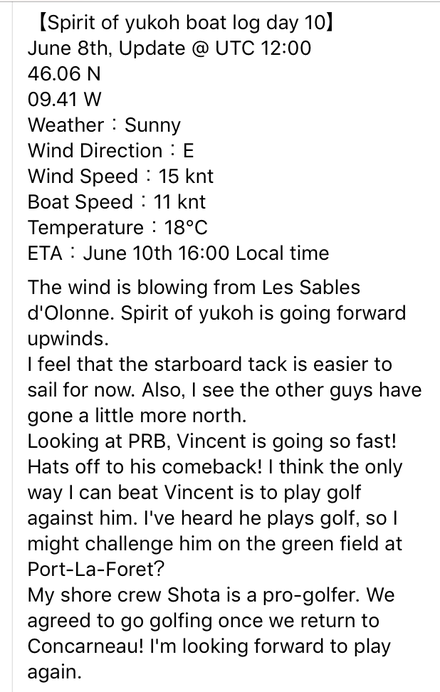 to Vendee Les Sables d' Olonne in France on Sunday May.29 - PM３:30. 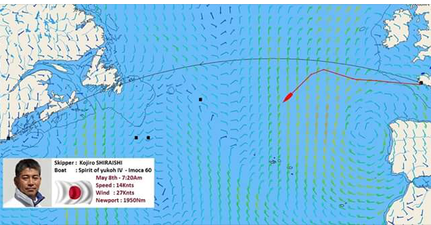 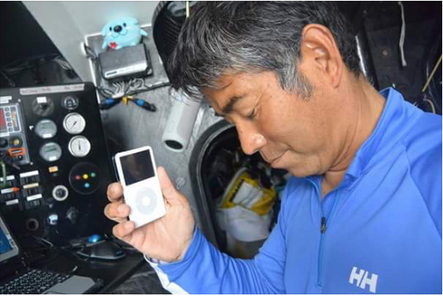 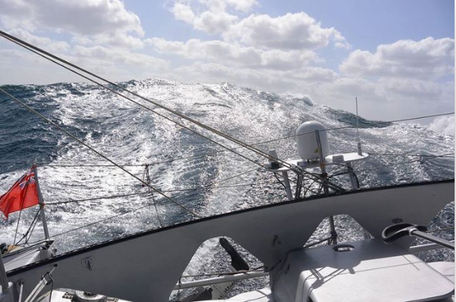 That tracking is handled by The IMOCA Ocean Masters World Championship 2015-2016 Committee. 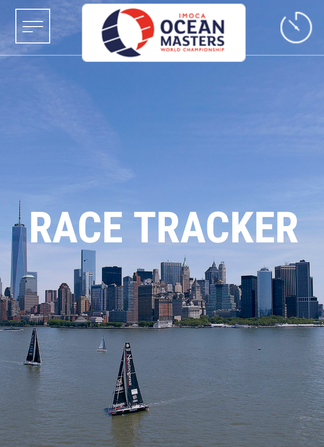 You can see Tracking with clicking on this Race Tracker. 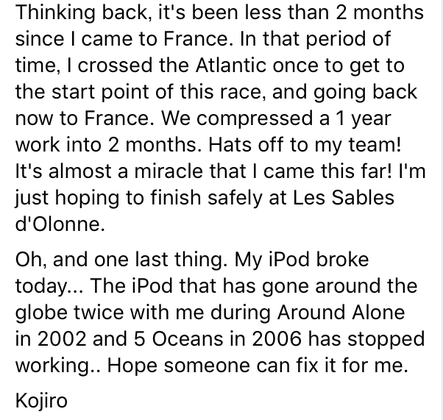 Kojiro finished at 23:01:40, on June 10.2016 as 7th. 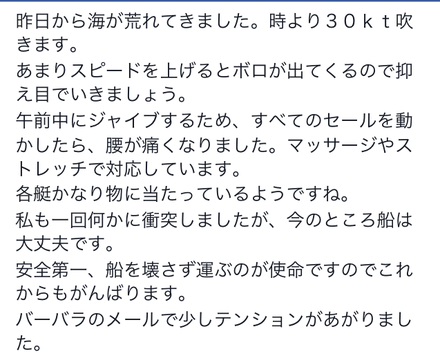 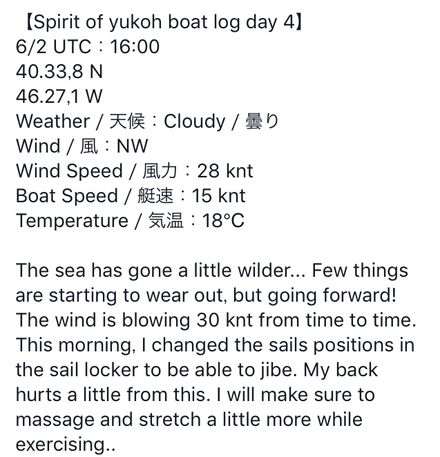 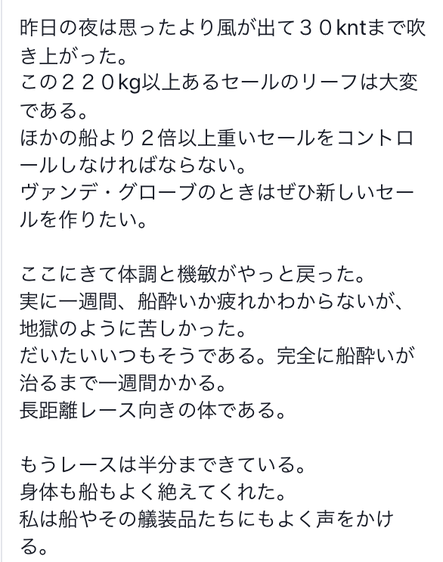 KOJIRO's Daily Report. 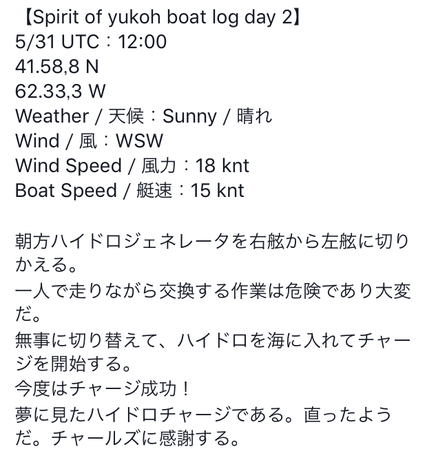 May 31. 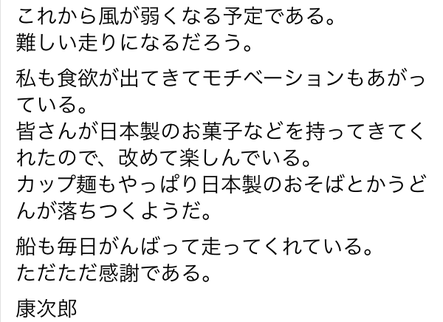 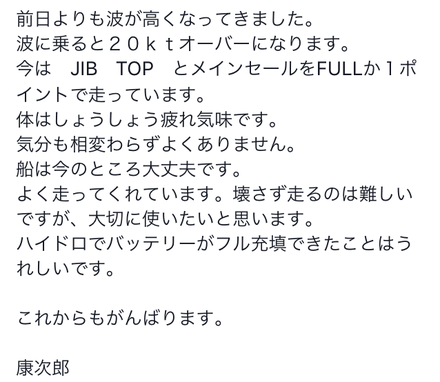 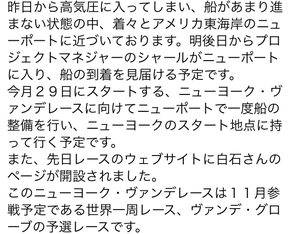 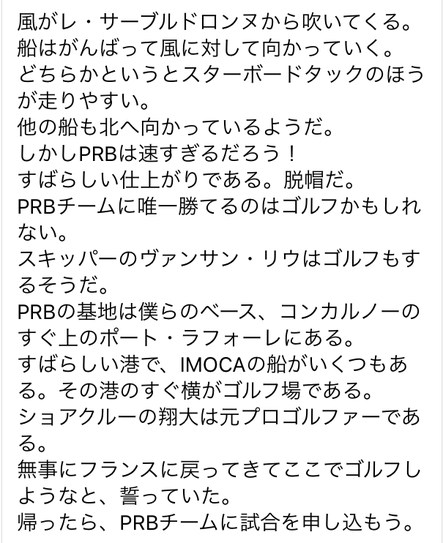 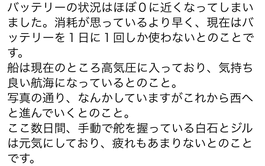 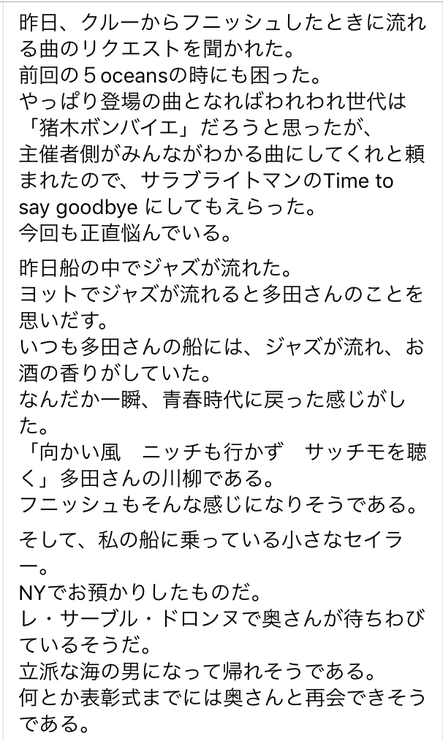 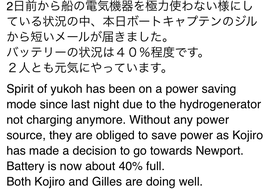 Reported by Kojiro Shiraishi by his own. 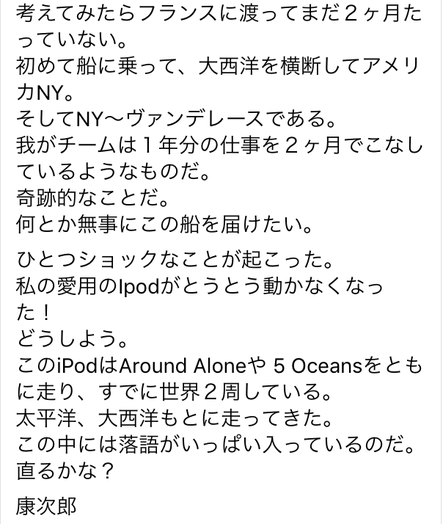 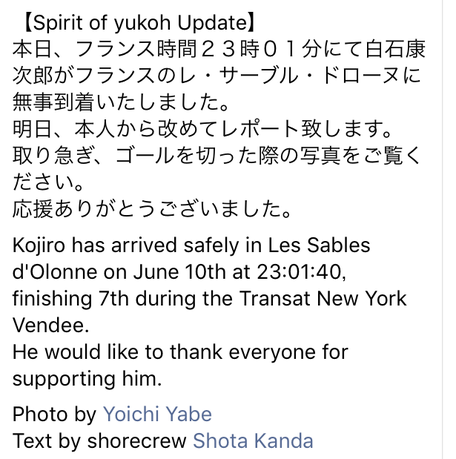 Kojiro left New york Port on May 29 PM3:30. 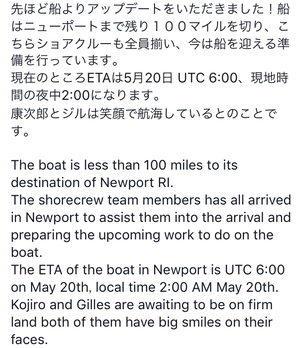 Kojiro Sgiraishi & Gilles arrived New Port. 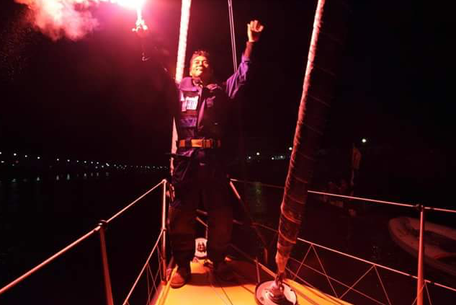 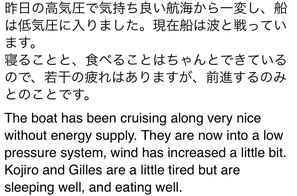 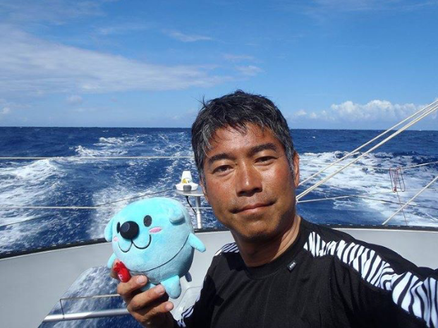 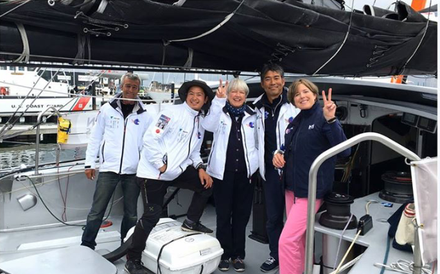 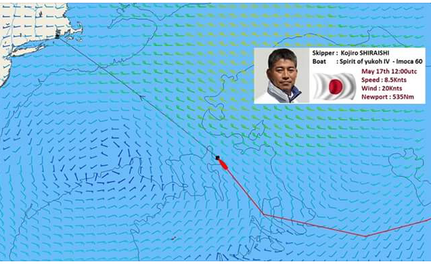 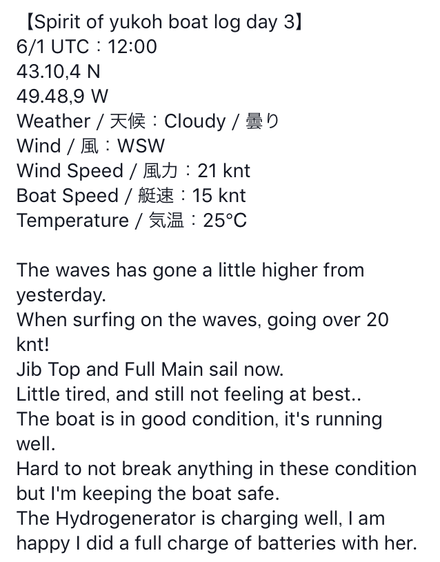 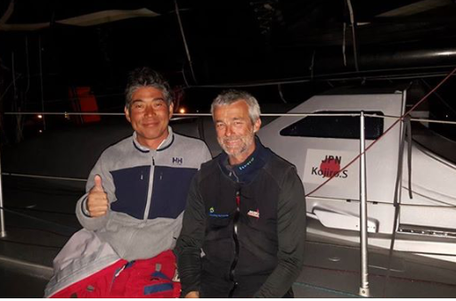 Kojiro Shiraishi & Gilles arriver New Port ahead 2 hours　to ETA. 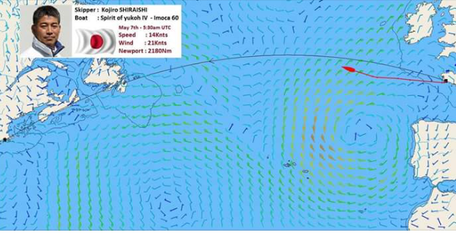 About 55Nm ahead a last day 15.5h before. 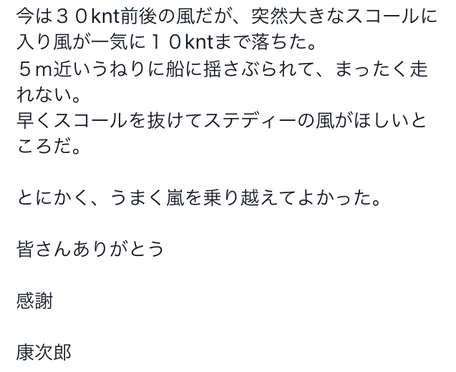 Average speed about 3kn a hour. 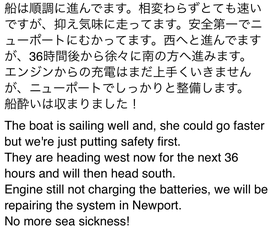 This boat is tremendously fast !! 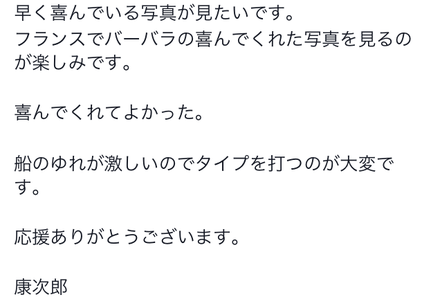 Every thing is very well, I'm fine. 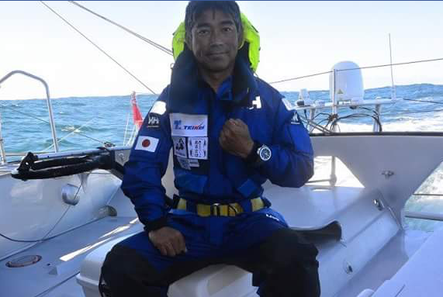 Kojirou Shiraishi. 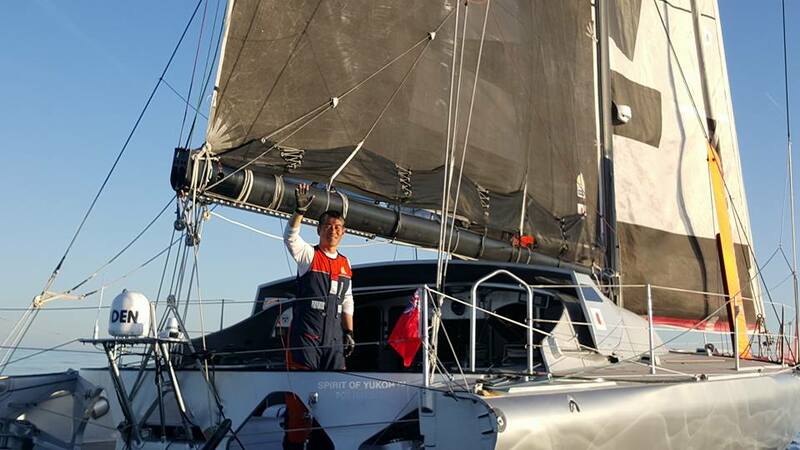 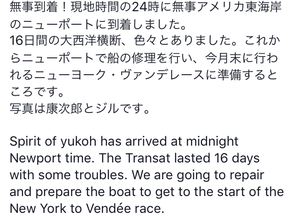 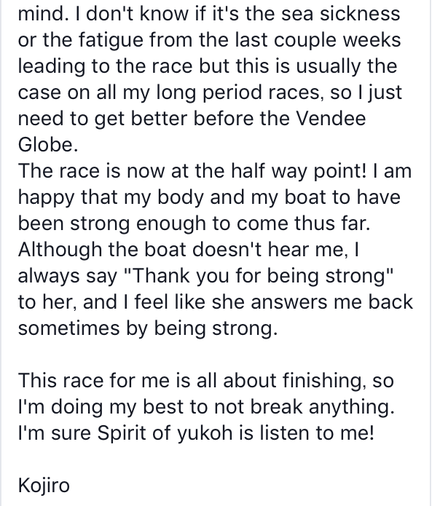 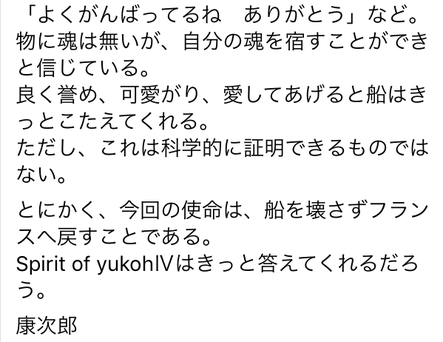 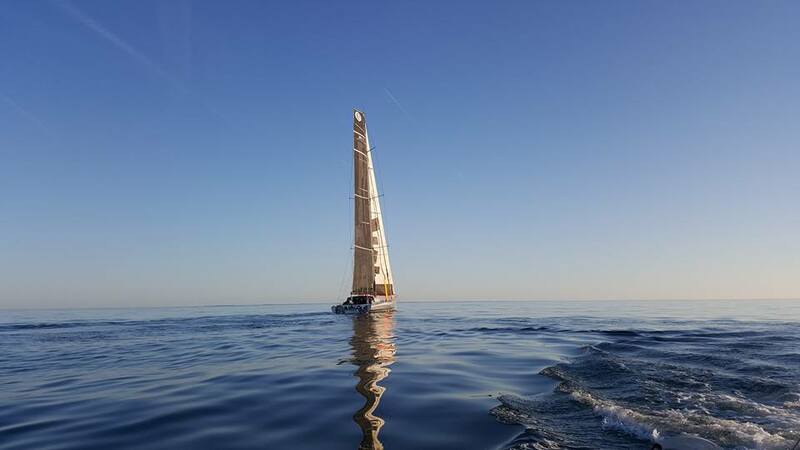 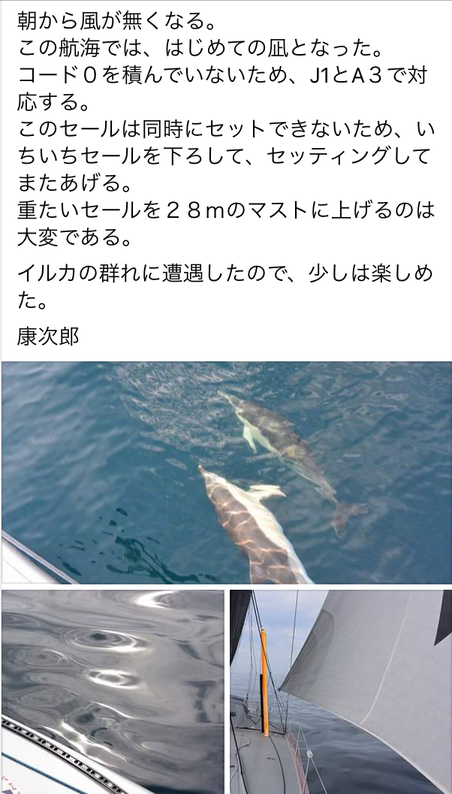 "Spirit of Yukoh" left Concarneau to USA. 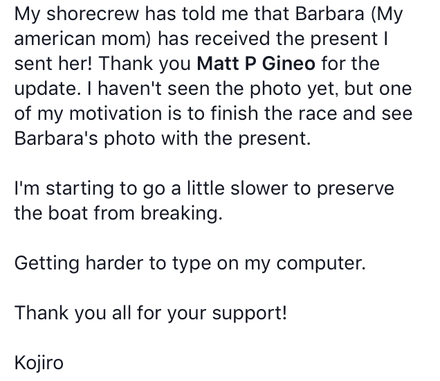 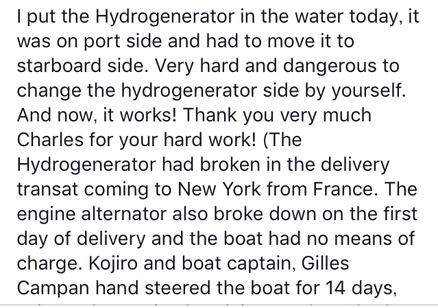 Kojiro Shiraishi left Franco-Concarneau to New Port and New York in USA. 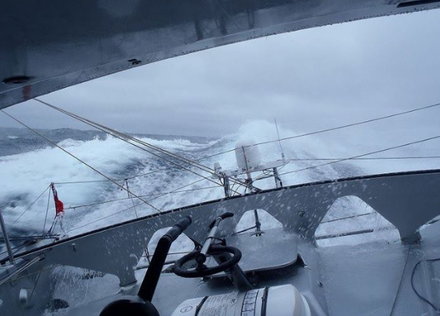 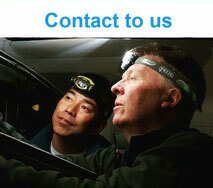 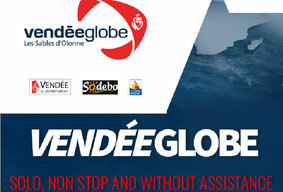 to join a prerequisite race for the Vendee Globe 2016. 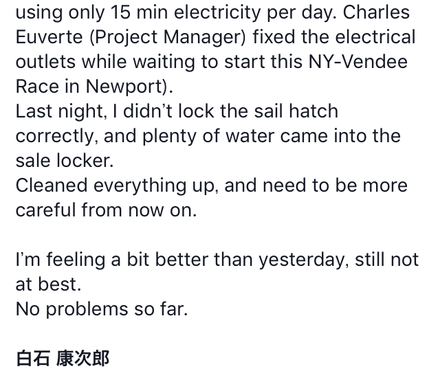 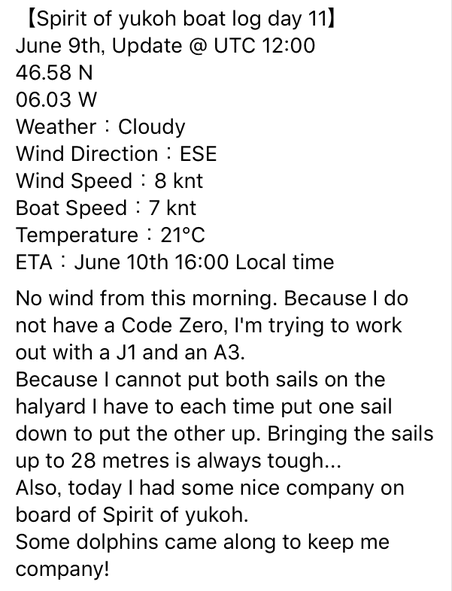 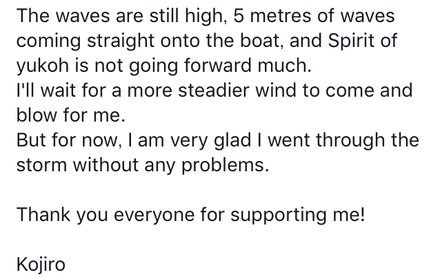 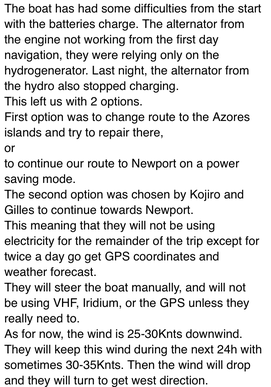 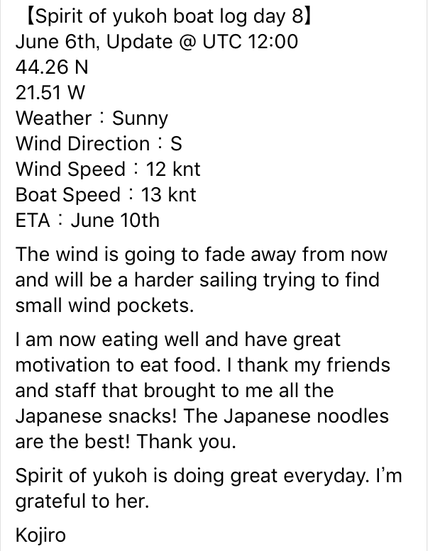 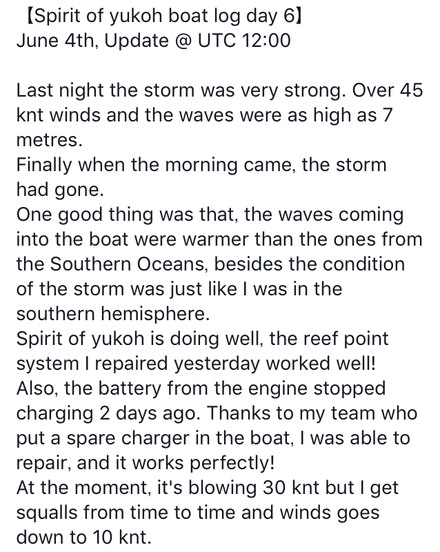 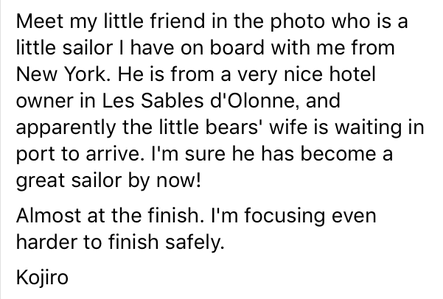 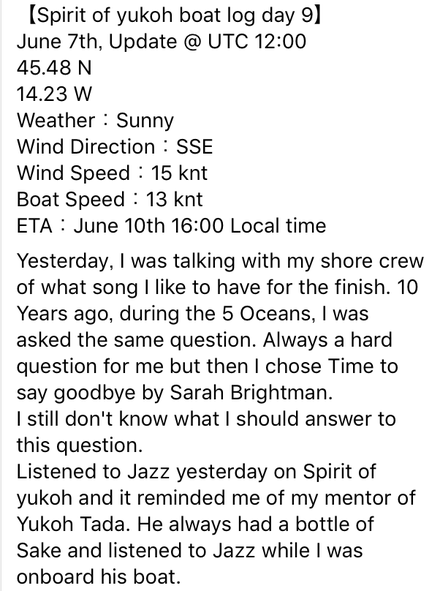 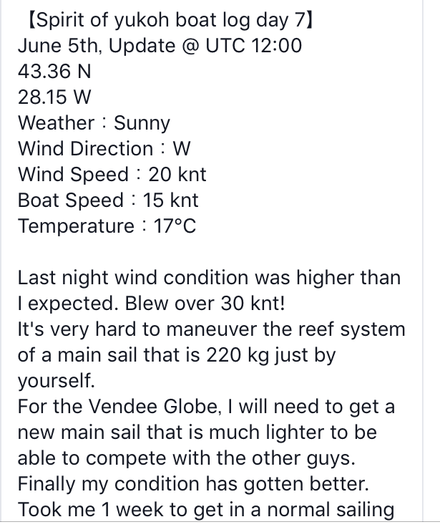 He and his co-skipper started on May.4th at about 20:00 in French time from a port. 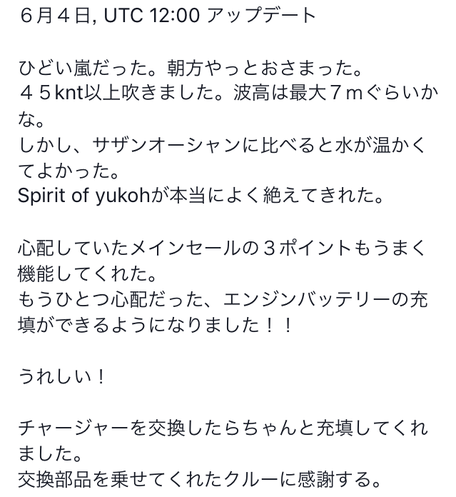 Look a beautiful "Spirt of Yukoh." 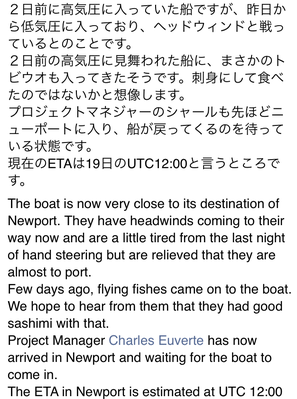 They will arrive by May.17 as ETA.